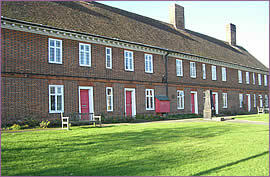 The Charity owns eight Almshouses in Station Road. The building is listed and is a fine example of building work around 1703. There are places for seven residents and one warden. 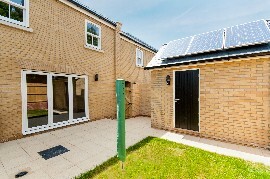 Each residence has one room upstairs and one room downstairs; at the rear are a kitchen, bathroom and a lobby. 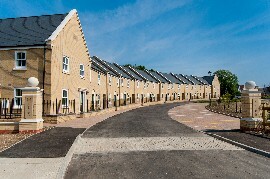 Each home has its own garden at the back; the front garden is for all the residents to enjoy and is kept tidy by a gardener. The warden visits the residents each day; there are no nursing facilities and residents are expected to be able to look after themselves and to cook for themselves. The residents pay a weekly maintenance charge. Refurbishment takes place every 20 years or so. 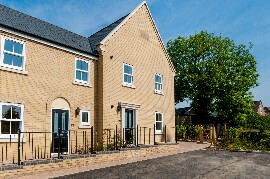 We have recently completed a new development of Almhouses at The Mills Crescent, Framlingham. 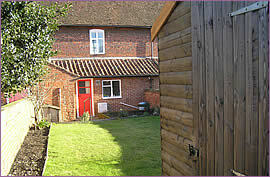 We have a vacancy at the Mills one-bedroom Almshouses in Station Road, Framlingham. Download details here. When a residence becomes available the appointment is advertised extensively and locally. Applicants have to complete a form and suitable candidates are interviewed. The gift of the appointment is vested in the Trustees. The Trustees interpret the rules fairly liberally and a residence is not usually empty for long. Application forms are available from The Clerk to the Trustees, The Mills Charity, PO Box 1703, Framlingham, Suffolk, IP13 9WW. The Mills Charity also owns three other properties within the town, which are rented to appointees. One of these is Tomb House in Station Road, where the Tomb of Thomas Mills and William Mayhew is situated. It is thought that on occasions in the past that the Trustees have met within the Tomb around the sarcophagus. 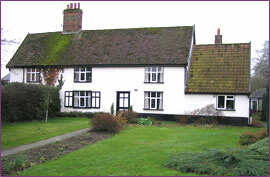 Another property is Brook Farm House, pictured above.